Is Your Company a 'Victim Culture' or a 'Victor Culture'? Nobody wants to lose—and nobody wants to hire a loser. We want to win. So we must build a culture of victors, not victims. Culture is defined by where your collective employees fall in their beliefs. If you have mostly victims, you have a victim (losing) culture. If you have mostly victors, you have a victor (winning) culture. Our beliefs create both types of cultures, but with the right tools, you can build a victor culture. CLC attendees gather for a photo at the Seaport Hotel & World Trade Center, Boston. 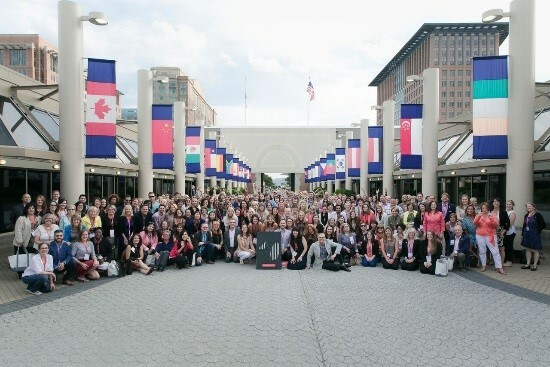 ASID chapter leaders from across the country came together for three exciting days of learning, networking, and celebrating the Society’s 40th anniversary in Boston, July 16-18. The Chapter Leadership Conference (CLC) at the Seaport Hotel and World Trade Center provided two days of keynotes, education, training, idea sharing, and networking for more than 300 chapter leaders representing 46 of 48 ASID chapters, making this year’s CLC one of the best attended in recent history. The State of the Society address from Stephanie Clemons, Ph.D., FASID, FIDEC, chair of the national board of directors, and Randy Fiser, the Society’s CEO, informed a full auditorium of attendees of the many successes ASID has had during the past year, and offered a preview of the organization’s dynamic plans for the future. 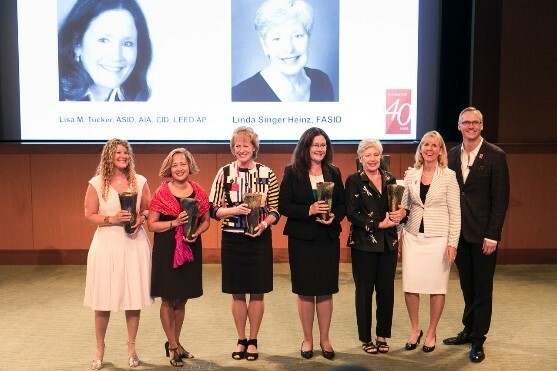 National Honors winners Phyllis Harbinger, Sybil Barrido, Mary Knopf, Lisa Tucker, and Linda Heinz, receive their awards from ASID Chair Stephanie Clemons and ASID CEO Randy Fiser during the State of the Society. Sandy Gordon, MFA, FASID, LEED AP, chair-elect of the national board of directors, presented awards to the Student Chapter Award winners, the National Honors winners, the Polsky Prize winners, and those who received special citations and recognition from Chair Stephanie Clemons. More than 400 ASID members and friends of the Society attended Celebration: The ASID Awards Gala at the Museum of Fine Arts, Boston on July 18. Emcee Reed Kroloff led the elegant dinner and awards show where the National Award winners and newly-elected Fellows were awarded and honored by their peers. Dancing, dessert, and tours of the art galleries brought the evening to a close. It was a great night for ASID! 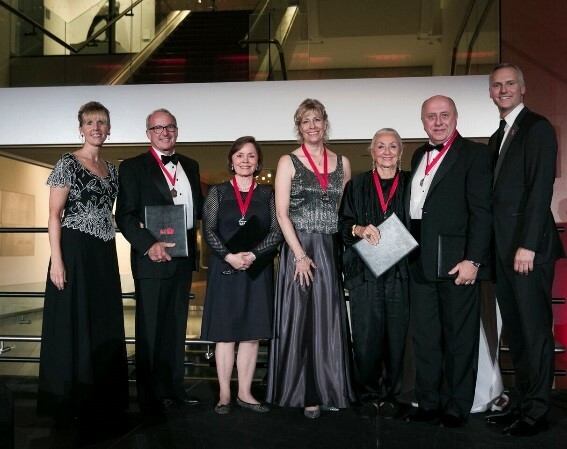 ASID Chair Stephanie Clemons honors newly-elected Fellows Edward Bottomley, Trudy Dujardin, Joan Kaufman, Jean Pinto, and Patrick Schmidt, along with ASID CEO Randy Fiser. ASID members celebrate on the dance floor at Celebration: The ASID Awards Gala. How Can Smart Design Effect Health and Wellness? 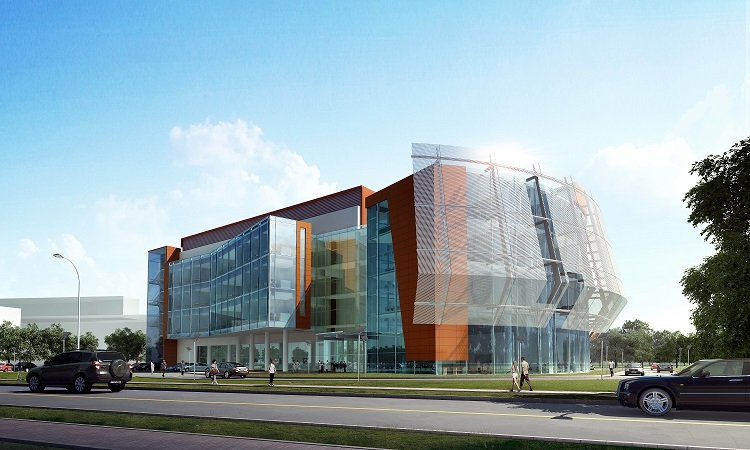 On August 6-7, ASID and IDC will host the inaugural Impact Summit on Health + Wellness in the Built Environment at the Lake Nona Medical City in Orlando. Share your voice and make an impact on the future of health and wellness through technology and smart design. Review the agenda and register. A world class panel of speakers will convene at the Impact Summit to engage with attendees and consider important topics and questions, such as the future of intelligent homes and communities; health, safety and welfare versus health and wellness; and the potential of integrative design in regard to health and wellness. Don’t miss this one-of-a-kind summit. Register today. Can You See Yourself at the HOST Expo in Milan? Cosentino will honor ASID and celebrate the Society’s 40th Anniversary at parties throughout July and August. All proceeds will benefit the important work of the ASID Foundation, and all ASID chapters are highly encouraged to participate and attend. The new Interior Design 2015/2016 Outlook and State of the Industry report is now available for purchase. The report provides evidence that the interior design industry is strong and growing and that it’s evolving, too. To view the full economic data and trends analysis, purchase the full report. ASID members may purchase the report for $29.95, and non-members may purchase it for $44.95. This economic report, developed by the ADP Research Institute with partner Moody's Analytics, offers quarterly data on U.S. private sector workforce dynamics and trends and measures industries by key labor-market indicators. The WVI for the second quarter of 2015 shows the construction industry growing more quickly than the seven other sectors measured by the index. The professional and business services sector, which likely includes architecture and engineering, also climbed in the second quarter. The extended easing of gains in residential improvement spending is expected to change course by early next year, according to the Leading Indicator of Remodeling Activity (LIRA) released by the Remodeling Futures Program at the Joint Center for Housing Studies of Harvard University. The LIRA projects annual spending growth for home improvements will accelerate to 4 percent by the first quarter of 2016. Zillow expects existing home sales to rise 1 percent month-over-month to 5.4 million units in June, and new home sales to rise 2.5 percent to 560,000. These increases would bring combined new and existing home sales to their highest level since November 2009 when the first-time buyer tax credit boosted home sales. According to folks in the know, 2015 is the year of blue and mustard. Every hue of blue is showing up in fabrics, interiors, carpeting, and furniture. Mustards are trending globally, too, appearing in ethnic textiles from around the world. Is Pinterest marketing a part of your design firm’s business development strategy? If you answered no, you are neglecting a ton of potential business. Pinterest can be very valuable to your interior design business and is a great way to interact with your target audience. Here are some tips to increase the effectiveness of your Pinterest marketing. Sherwin-Williams has announced the addition of new user-submitted content that will appear on each color detail page on sherwin-williams.com. By utilizing #SWColorLove, designers are invited to be among the first to showcase their color projects, to share the unique ways they use Sherwin-Williams paint colors, and their inspiration for color choices. Thanks to new research, innovation, and technology, it is clear that designers can do even more to minimize damage to the environment. They can use their work to improve the environment through what is known as regenerative design. Regenerative design is when the building itself can be used as a catalyst for positive change, allowing natural systems to become stronger or more resilient. Until recently, the words “eco-friendly interiors” conjured up images of shabby chic, but advances in finishing techniques mean reclaimed and upcycled pieces don’t have to look low-end. You can have an environmentally sensitive interior that doesn’t look either shabby chic or all kaftans and incense. You can be very grand and still have natural, renewable materials that haven’t come from dubious sources. How do you give a seaside or beach retreat that summery feeling? Four tips for brightening up a space and creating a beachy vibe. Forty-five percent of luxury purchases are influenced by what the consumer has discovered digitally according to a report by WBR Digital. Consumers are now using digital channels to peruse brand offerings more than ever before. The consumer journey that begins online has also affected in-store margins with 13 percent of offline luxury sales being generated from digital activity. Today, it isn't unlikely to have three different generations toiling together in the same workplace. With varying work styles and mindsets, Baby Boomers and Generations X and Y are working side by side. To overcome their differences, managers are increasingly turning to design to accommodate their needs while harnessing the potential for cross-generational interaction. In addition to its usual display of hospitality projects, this month’s issue of Hospitality Design magazine looks into the new workspaces of a few design firms. The ideal office space, much like any hospitality project, has to offer comfort while also providing inspiration. Most people spend more time at their office than anywhere else. Coworkers know more about you than your own family, and your desk becomes your personal sanctuary. Because of that, the office is vital to creating the heartbeat of any company. First was beauty, then spa, and currently, wellness is the trending conceptual approach. So what is next? 'Healtharisation' of hotels, an integrated, health and wellness influence throughout the hotel, rather than offering it in a dedicated spa and wellness space within the property. This represents a fundamental change and will alter the conceptual and operational approach to wellness hospitality. As many organizations look for ways to attract millennial workers, new findings show their value and preference for both workspace layout and personal wellness on-the-job. A survey conducted by ESI Ergonomic Solutions reveals that the three most important working conditions to improve to maintain high levels of productivity are proper lighting, ability to control noise level, and ability to control distractions.